There is an evocative verse attributed to the last Mughal emperor, Bahadur Shah Zafar, in which he laments over his unrequited love: "umr-e-darāz maañg ke laye the chaar din, do aarzū meñ kat gaye do intezār meñ!" ( literally -I asked and got from the lord just four days, two of which went in desiring, and two in waiting.) Our Prime Minister asked the people to bear with him for fifty days and his waiting is about to end in a couple of days. What did he get in these fifty days and what did the people of India get in these fifty days? Its now the time to take stock. Was it a great reform or just a monumental act of stupidity? Let us now briefly examine how much he has achieved in his asked for fifty days? Of the total estimated parallel economy which is now commonly believed to be about 20-25% of the GDP, which means that the government loses taxes on income of about Rs.30-35L crores, or about Rs.10L crores. Last year the government of India expected to collect Rs. 15L crores as direct and indirect taxes. This then was a huge exercise, but what did the government achieve? The RBI has reported that it has recovered Rs.29.84 crores fake notes out of the currency it has taken into the banking system. So this is just a case of the government not knowing what it is talking about. As for terrorism, the fact that money in new Rs.2000 notes was recovered from slain terrorists in Kashmir and other places speaks eloquently about the success. Of this black money most of it is in flow and little is held in stock – like the cash recovered from TTD board member Sekhar Reddy or suspended Tamil Nadu Chief Secretary Mohana Rao. People with great wealth seldom keep it or very of it in cash. Only fools keep money idle. Money, white or black, is constantly put to work. How do we encounter this money? When even ordinary middle class families celebrate a wedding, the expenses for flowers and decorations, priests and musicians, food and refreshments, and even a part of the venue charges are asked for and paid in cash. This might very well be good and hard-earned tax paid money, but it slips into the vast untaxed and parallel economy. Some of this money then re-enters the white economy in the form of everyday expenses, say for food, fuel, clothes and other everyday expenses but a major part enters the black economy to be transformed into property and jewellery. The better connected send it abroad. According to Global Financial Integrity (GFI) India has exported an average of $46 billion each year for the past decade. This from where the fabled Rs. 15 lakhs for every Indian citizen was to have come from. In the last two years not a cent has come back. The Gold bond scheme has so far been mostly a flop and gold remains gold hanging on necks and buried in vaults. There has been no spike in the past 48 days either. But of the Rs.14.4L crores or 86% of all currency notes withdrawn, the RBI has received Rs.13.2L crores till December 13. Out of the outstanding Rs.1.2L crores about Rs.30-40000 crores is in neighboring countries like Nepal, Bhutan, Srilanka, Bangladesh and Afghanistan where India rupees are commonly used. In addition our NRI brethren and cousins have an equivalent amount. The rest is probably mostly with very poor people deep in the hinterland who most probably don’t know that their carefully tucked away high value notes are no longer valid for exchange. So at best the government might get Rs.30,000 crores instead of the windfall of Rs.4-5L crores the government seemed to believe it would get. We don’t know how much “undeclared” high value notes have entered the banking system after November 8. That will entail some taxation. Before November the government had yet another amnesty scheme which fetched it declarations of about Rs.60,000 crores translating to about Rs.25,000 crores. This latest amnesty after November 8 is expected to fetch it a similar declaration but it will fetch it more taxation as a penal taxation also kicks in. This means another Rs.30,000 crores. So what did these Rs. 60,000 crores cost to get? The new notes itself will cost about Rs.42000 considering that Rs.500 and Rs.2000 notes cost about Rs.4 and 6 each to print and deliver. But there are other costs, which are far greater. The abrupt withdrawal of cash practically destroyed the daily wage economy that is about 200-250 million strong out of the unorganized sectors 415 million. 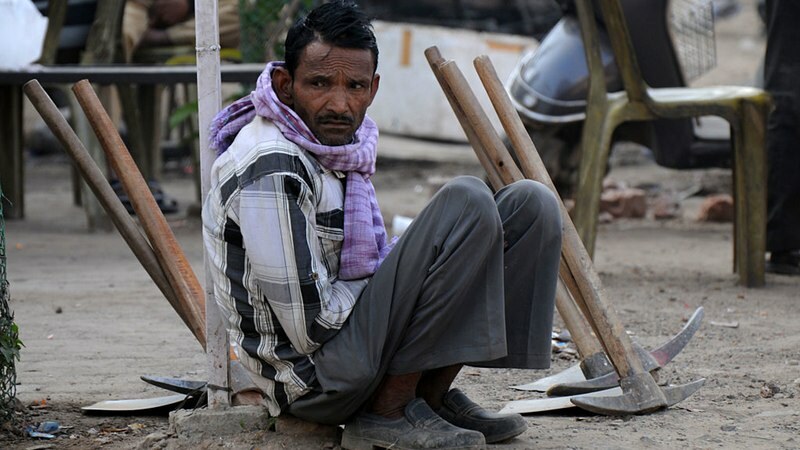 The average daily wage last year was Rs.272 per head. This money is barely enough to feed and provide the most basic essentials for a family of five. Imagine how many jobs have been lost. Early estimates suggest that almost 80-100 million daily workers are without work. Millions have gone back home to their villages in Bihar, UP, MP, Orissa and Assam. I was recently in UP and Bihar and the devastation to the rural economy is palpable. Credit card spending has dropped from Rs,55ooo crores in October to Rs.32000 crores in November, though the number of transactions have gone up hugely. Most economists, including the biggest economist of all, Dr. Manmohan Singh are agreed that we are not set to lose about 2% of GDP. That means about Rs.2.5L crores. GDP lost is lost forever so it is a cost. When the cost toting is all done it will most probably be much more than that. Arvind Panagariya the top sarkari economist speaking for the Demonetization agrees that “supply chains” have been disrupted but new ones will regenerate, as happened in New Orleans after Hurricane Katrina. This is an unfortunate and weak analogy. Katrina was an act of nature. Demonetization is an act of utter stupidity. The PM seems to have realized this. He is now slyly making this a campaign for digitalization or for cashlessness. The reality here is this. 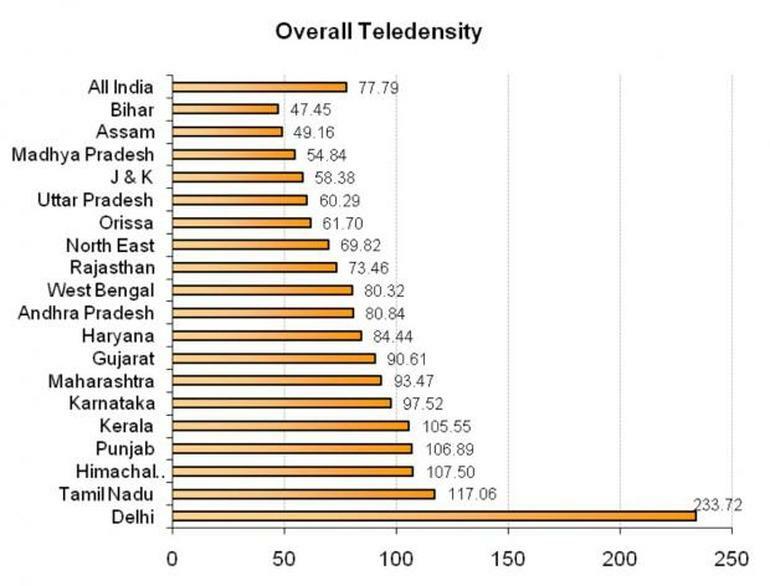 In the poorer states like Bihar, UP, MP, Orissa and Assam the teledensity is about 50%. The ATM density is about one for every 10,000 as opposed to one for every 3-4000 in the states like Tamil Nadu and Maharashtra with superior banking networks. Only 20% of the ATMs are in the rural areas. Development here is highly desirable, but it will take many years. Professionals expect we will reach a desired level only in 2021. Then there is a cost to digitalization. According to the RBI, an Rs.100 note lasts about a year and is good for an average of 1000 transactions or change of hands before it needs to be replaced. These transactions amount to Rs.100,000. A new Rs.100 note now costs about Rs.3 to print and distribute and is the cost of facilitating Rs.100,000 worth transaction. But if you do a like number of digital transactions by credit or debit card, or by systems like PayTM, which the PM is apparently huckstering, the charge is anywhere between 0.6 % to 2%. Lets be generous and assume 1%. A thousand transactions of Rs.100 each will generate a cumulative income of Rs.1000 for the digital transfer companies and banks. Compare Rs.3 to Rs.1000. What kind of economic logic is this for a country where the daily wage for over 200 million unorganized workers is just Rs.272? Digital transactions are neat and simple. Better off people obviously prefer it for its convenience. But it is just too costly and inconvenient to people who cannot afford it or are not hooked up to the digital cash system. It will become more common in time when the average India gets wealthier and has much more than Rs.272 daily to support his family. So why this shifting of goal posts is the big question? One fellow panelist described it as suddenly switching a game of hockey midway into football. I have a crueler description. I say Digitalization is just a fig leaf for the failed Demonetization.